Happy July to everyone! Happy Canada Day, too! Congradulations on 150 years! I was all set to give myself an A+ for completing my modest June goals, but I think I’m confused on the steps to the Layer Cake Explosion quilt-along. 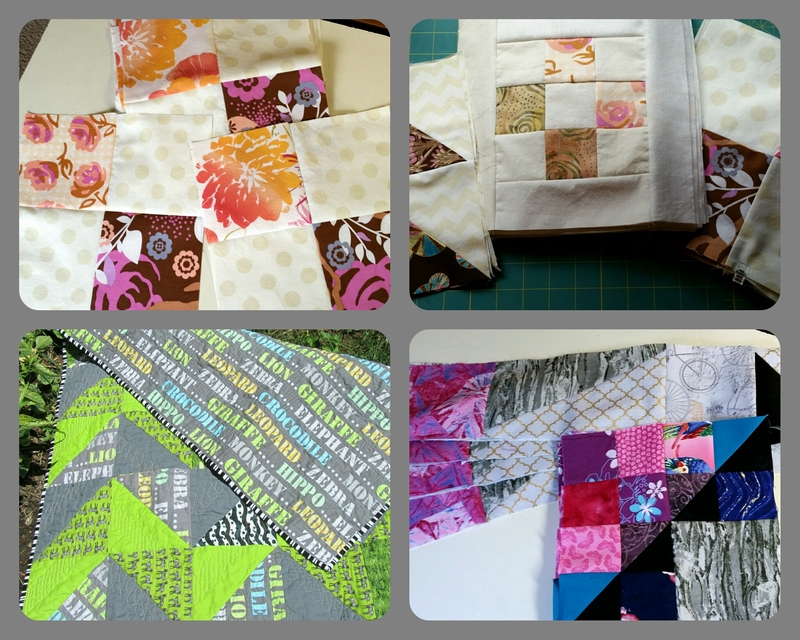 It’s what I get for doing two group quilts at the same time! Oh, well. Progress was made. It was good. I’ll be traveling some in July, gardening, preserving, reading, summering, so these goals are modest, too. Make blocks for Kat’s July/August Covered in Love block drive. Continue with Layer Cake Explosion, whichever step I’m on. Truly hope all of you are enjoying your summer (or winter) and your sewing. Thank you for linking the Covered in Love project, I kind of fell off the wagon on that one. Excited to see what you come up with on the layer cake floral department 🙂 fussy cutting perhaps? Or stack and whack?